Are you looking for more consistent, predictable and repeatable color? – No pre-printed targets in this workshop. We’ll make mistakes together and learn from them! – Multiple brands of spectrophotometers will be available in class. We’ll have both Xrite i1s and Barbieri SpectroPads. – Decades of industry-relevant color management experience. UV, solvent and aqueous printing ink technologies. Find out more about our Color Management Boot Camps. TO REGISTER: Fill in your name and email address. Then above the form, select the number of people who are attending and click the blue button. I appreciate all the knowledge the ColorCasters team has shared with me. I’ve learned so much from you folks! What’s Color Management Boot Camp? Visit our INFORMATION PAGE. 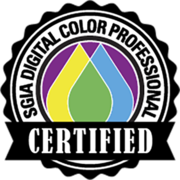 Your lead instructor for this workshop will be Shelby Sapusek, a certified instructor for the SGIA Digital Color Professional program. She has more than two decades of design-side color management expertise. Shelby is also certified by RIP manufacturers and has helped organize and/or lead most of the ColorCasters events. Shelby will be joined by Jim Raffel, an industry veteran with more than 30 years of color experience. 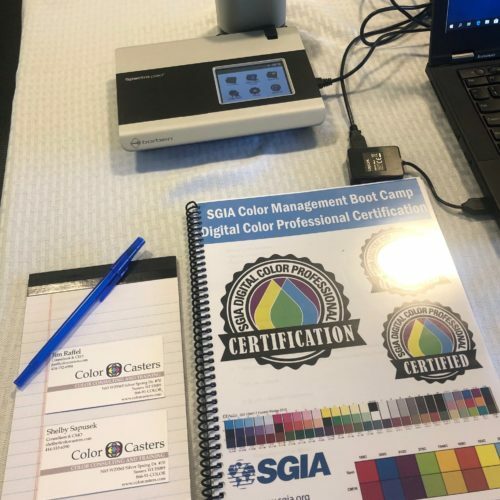 In addition to being certified by SGIA as an instructor for the Digital Color Professional program, Jim is certified by Idealliance as a G7 Expert and Color Management Professional. He is also certified by RIP manufacturers such as EFI and Onyx. So when it comes to inkjet color management, Jim has taken the time to learn what he teaches. 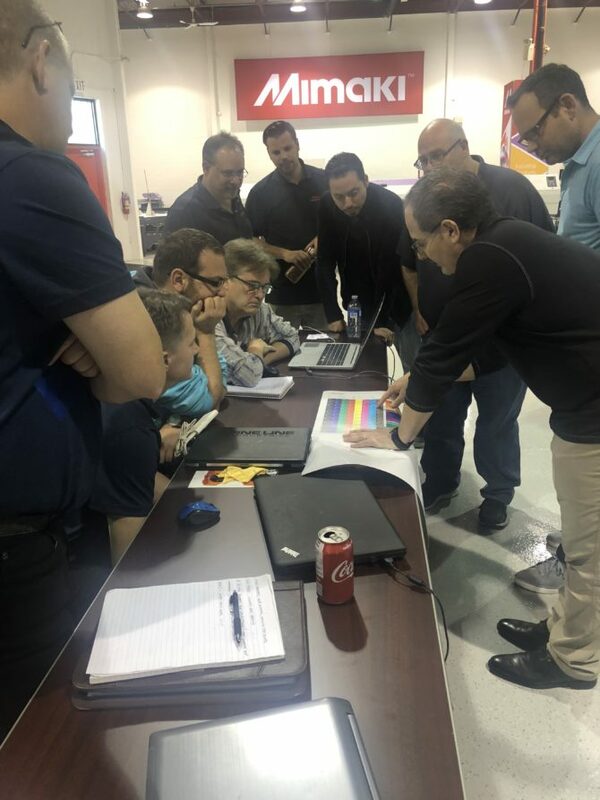 Most importantly, when he’s not leading ColorCasters’ training workshops, he’s on the road doing color management consulting work with clients. Jim brings more than book knowledge to this hands-on workshop. He brings real-world stories to explain why the best practices are what they are. 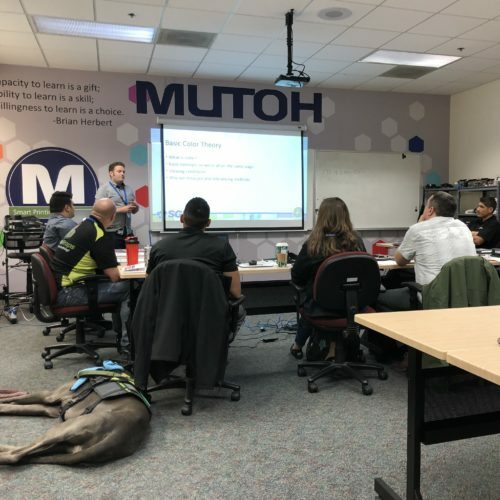 This workshop takes place in Mimaki USA’s training and demo facility located in Milwaukee, WI. The focused, small-class setting allows you to master color management. Learn from the industry’s top instructors and walk away with confidence and skill. Register now — space is limited. All workshops are taught in English. * Make your travel plans with confidence, our workshops are conducted regardless of number of attendees. $799.00 Learn how to reserve your seat today!